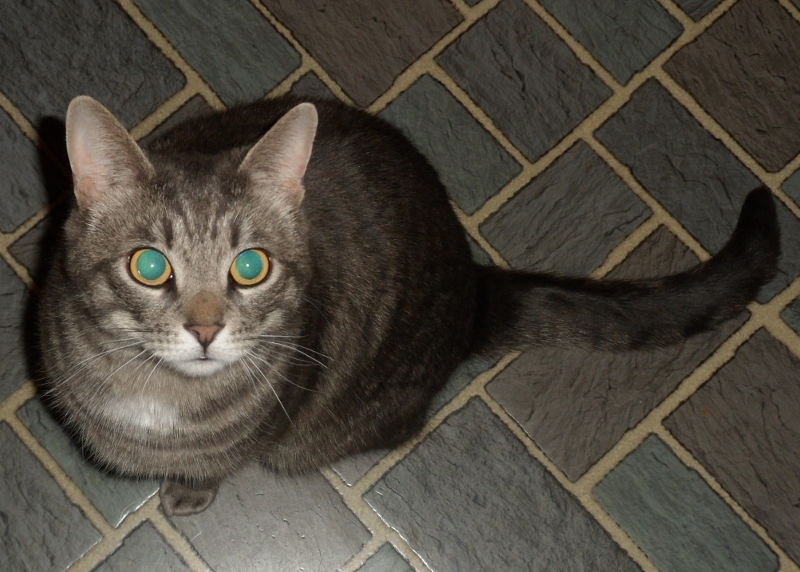 Have a completely unrelated Baldur-cat! It's like he thinks it's his job to keep me from writing. This year feels insanely busy. I'm not sure it actually is, but my work is front-loaded in the first 4-6 months, so it FEELS like I am being crushed under the weight of ALL THE THINGS. In reality, once I get to the other side of March, I'm sure I'll feel a lot better. In the meantime, expect it to stay relatively quiet on the blog. I'll try to update once a month, or more if there's something noteworthy or exciting to report, but mostly my nose is going to be firmly pressed against the grindstone until late spring! HOWEVER, a promise is a promise, so here are my goals for 2016! The Dream is that I will finish both of these books and then have time to work on my random contemporary romance (Sully and Kate), just for the love of writing, once my biggest obligations are behind me! I am not 100% sure this will happen, but I hope it will! The Universe keeps putting this book back under my nose, and I'm dying to dive back into it. You can also tack on all the writing stuff I said I wanted to do last year and didn't. I think that's just a couple of novellas -- Ullr's story, a Marcus short story for Fate of the Gods, and maybe someday Ra and Athena will get a chance at my attention again. Plus I have two more Bronze Age Greek Myth books I'd love to write, but I think it's totally unrealistic to put them on any docket before 2017/2018. Without question, I am sure I will be editing TMB3! But before both of those: Hippodamia and Pirithous's book, TAMER OF HORSES. This is a book I am dying to wrap up and get out into the world. It'll also be published under my Amalia Carosella name when the time comes -- but that when is pretty up in the air right now, so while it's a priority for me, I don't now how that is going to translate in terms of release date, yet. Stay Tuned! This year, the first weekend in March, I'll be attending ALBACON as a guest! Albacon is going to be my only Con this year, so if you want to see me, this is your best bet until 2017! I'll be taking part in the Writers' Workshop pre-Con and hopefully maybe doing some panels and a signing, so I'll be full time at the con on Friday and Saturday, for sure. Hopefully I'll see (some of) you there! 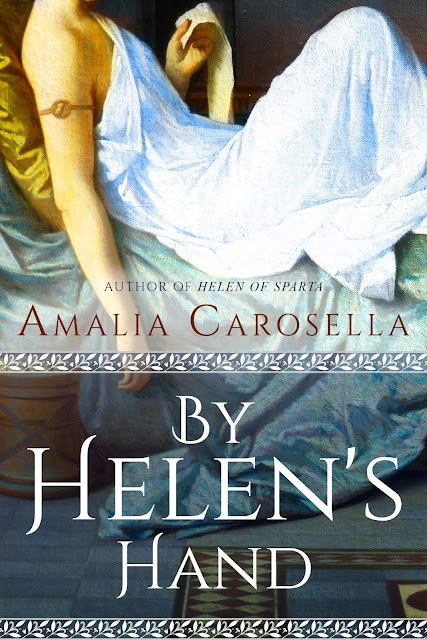 And of course, BY HELEN'S HAND (Helen of Sparta #2) will be releasing May 10th!! 2015's Goals -- Wrapping up. My year got a little turned upside down in the middle, and my priorities had to shift to accommodate, but here's a look back on my goals and what I actually DID accomplish from the list! And if I can finish all that, then I'll work on the next Bronze Age historical, which may or may not have to do with Theseus and Antiope. We'll see! Orc Saga 2 needs a round of revisions -- though the cover art is well on its way, and I am super stoked to share it. Hippodamia and Pirithous aka TAMER OF HORSES, the bronze age historical I wrapped up in 2014 as part of NaNoWriMo will need some revisions, too. And of course, HELEN OF SPARTA is hitting shelves! I'm tentatively hoping to release BLOOD OF THE QUEEN (Orc Saga: Book Two) in the fall/winter! And an Audiobook of FORGED BY FATE is coming! On the New Words/New Manuscripts side, I met with a couple of challenges. One: I had to rewrite the second half of Helen2, which was my first (unnamed) project. So I wrote it, wrapped it by May, then needed to go back and rewrite/add-on the last 50K words or so. It was unexpected, for sure, but definitely for the best, and I'm really pleased with the end result, even if it wasn't what I had initially planned. Two: I needed to come up with a brand new project that I was not at all expecting. Sometimes the market turns, and I kind of had to scramble. But I found my new project, ultimately, and I'm excited to be writing it (and also omg want to be done writing it so much!) AND this meant bumping Orc3 to next year's docket, because deadlines. It also meant that I wrote no shorter fiction at all this year. Though I *did* start a contemporary romance, for funsies, as a much needed break after Helen2 which also kind of came out of nowhere. All that said and put aside, I am happy to report that I wrote over 221,000 words in 2015. (151,000+ of those words were Helen2, which did not all end up in the final product, of course, but that manuscript was a very significant portion of my year!) That averages out to about 22K a month for the 10 months I was actively writing (never without interruption, sadly). I'd like to do better next year, I think, and bump that average up to at least 30K, but I feel pretty good about this year's output, all the same, particularly when taking into account all the editing and production work I did alongside it. Which brings us to the Editing/Revising/Releasing section, where I accomplished everything that I'd expected to need to do, with a successful release of HELEN OF SPARTA and BLOOD OF THE QUEEN. I'm nearly through the edit process for BY HELEN'S HAND as well, for her release next year! I've got two more projects in production, too -- one of which is the aforementioned new project that I had to scramble to find for myself, and the second is too up in the air for me to say anything more about at the moment. But hopefully there will be more to tell, soon! All in all, I think it was a solid year. And before the month is out, I'll have a post for this year's goals, too!